Weight loss is no longer a daunting task, thanks to bariatric surgeries like gastric bypass. What about having the procedure done in Iran at a very reasonable price? Ironically, gastric bypass is a weight loss method for those who want to bypass the laborious task of shedding dozens of pounds. But it’s not as crafty as it might sound! In fact, you simplify your weight loss by getting your digestive system altered in order to eat less and get fewer calories. We at AriaMedTour do all the arrangements for your trip to Iran to get a gastric bypass surgery done with the best bariatric surgeons in Iran. Gastric bypass is performed using the minimally-invasive laparoscopic technique in Iran. The surgeon makes a few incisions to the patient’s abdomen and inserts the laparoscope and other surgical instruments and performs the operation. For a better understanding, watch the video simulation. Gastric bypass surgery is a weight loss (bariatric) surgery for obese people who are looking for a quick solution to their obesity problem and want to see significant improvements in their health. Commonly performed using the minimally-invasive laparoscopic surgery, gastric bypass has several variations, the most common version being Roux-en-Y. Gastric bypass is the most effective bariatric surgery, resulting in a significant weight loss in people suffering from severe obesity. It is the second most common weight loss surgery after gastric sleeve. In this article, we are going to explore gastric bypass surgery, its pros and cons, cost, and recovery tips, and provide you with some information about this type of weight loss surgery in Iran. Gastric bypass surgery process: how is it performed? A gastric bypass is performed under general anesthesia. It means that you will be unconscious during the procedure. Today, most doctors use laparoscopy to perform a gastric bypass. In this technique, which is also called keyhole surgery, the surgeon makes small incisions in the abdomen through which he/she inserts surgical instruments, a laparoscope (a long instrument with a light and camera at its end, used to see the inside of the body), and a tube to perform the operation. The first step involves dividing the stomach into two sections and sewing them up using staples. The upper section, called a pouch, is much smaller than the lower section. It is about the size of a walnut and is going to hold the food you eat. Since it can hold a very small amount of food, your appetite will be reduced dramatically, hence the weight loss. The second step is cutting the small intestine into two sections. The lower section, which includes jejunum and is called “Roux limb”, is then connected to the small pouch, so that the food would pass directly from the small pouch to the jejunum, bypassing the main part of the stomach and the first part of the small intestine (duodenum). In the end, the end of the duodenum is reattached to the small intestine at a lower point to allow flowing of other digestive juices. The Roux-en-Y gastric bypass works in two ways to trigger weight loss. Gastric sleeve restricts the amount of food you can eat by over 90% and the small pouch receiving food becomes full very quickly. Since the larger portion of the stomach and a part of the small intestine is bypassed in a Roux-en-Y gastric bypass, the absorption of calories is greatly reduced, prompting an even faster weight loss. Because of these two functions, gastric bypass is a restrictive-malabsorptive weight loss surgery. Am I a good candidate for gastric bypass? Gastric bypass is recommended for those who are suffering from obesity and they haven’t seen a significant weight loss by dieting and exercising. If your body mass index (BMI) is higher than 45 (you are super obese) or you are suffering from one of the obesity-related diseases, like type 2 diabetes, high blood pressure, sleep apnea, and high cholesterol with body mass index higher than 35, your surgeon will probably suggest this procedure. The average amount of weight patients lose after gastric bypass is greater than other weight loss surgeries. In other words, it is the most effective bariatric surgery. Weight loss will be more rapid after surgery compared to other procedures such as the lap band. It doesn’t require that an external device be placed inside the body. It helps cure type 2 diabetes. Up to 70% of type 2 diabetic patients are cured or their need for insulin is significantly decreased. High blood pressure and sleep apnea are likely to be improved or cured after gastric bypass. It can be done for people aged 18 to 70. Since it is usually performed laparoscopically, you would not feel excessive pain and no scar would remain on your body. Recovery time is longer than other procedures (except gastric sleeve) because it takes some time for the digestive organs to heal and get used to the new circumstances. You will have to stick to a low-sugar and low-starch diet because you may experience vomiting and diarrhea. There is a small risk of complications, including bleeding, leakage, infection, and blockage. The more informed you are about the procedure the less anxious you will be before surgery. Consulting a surgeon before your surgery helps you get a good understanding of the procedure, results, and your life after surgery. In order to have a safe and satisfactory gastric bypass surgery, you should stop smoking several weeks before surgery. You also need to stop taking some medications, especially those that hinder blood clotting process, medications such as aspirin, ibuprofen (Advil, Motrin), vitamin E, and warfarin. You will be asked to undergo blood tests and other required pre-operative tests. The night before your surgery, do not eat or drink anything. Make sure that you will have safe transportation after the hospital time and appropriate post-operative care at home or hotel. For a complete guide to eating after bariatric surgery, read “Healthy eating guidelines for the first month after weight loss surgery”. There is no doubt that any kind of surgery might cause a number of side effects and complications. Possible risks of gastric bypass are blood clots in legs (preventable by taking blood-thinning drugs), leakage in the connection area between the stomach and small intestines, dumping syndrome, difficulty in swallowing, diarrhea, indigestion, sagging skin, nausea, vomiting, bloating, allergic reaction to anesthesia, Stomal stenosis, infection, and bowel obstruction. Most of the complications can be prevented by following your surgeon’s instructions and adhering to a healthy diet and lifestyle. Constant visits help you avoid many of the mentioned complications. Mini gastric bypass surgery (MGBS) is a simpler less invasive procedure, compared to the regular gastric bypass. In this surgery, a banana-shaped pouch is created in the stomach and then connected to the small intestine through a so-called anastomosis, bypassing a portion of the small intestine. The mini gastric sleeve works the way a Roux-en-Y gastric bypass works. Gastric bypass vs gastric sleeve: which one is better? Having made up your mind to undergo bariatric surgery, you might still be in a dilemma about whether to opt for a gastric bypass or a gastric sleeve. As the two most effective procedures, gastric bypass and sleeve gastrectomy both work for people with grade 2 and 3 obesity, with the latter being more suitable for people with BMI over 45. Learn more about which weight loss surgery is right for you. Apart from that, your health status and your possible medical conditions must be taken into account before opting for one of these procedures. These should be discussed by you and your surgeon before surgery. Also, you can get free consultation about this issue from our medical consultants at AriaMedTour. Furthermore, it is important to consider the similarities and differences between the two surgeries in order to make an informed decision. In the gastric bypass, the stomach is not partially removed from the body while in the gastric sleeve a large portion of the stomach is taken out. Gastric bypass is usually recommended for extremely obese patients with a BMI over 45, but gastric sleeve can be done for those with BMI 35. Gastric bypass changes the way your digestive system handles the food but in the gastric sleeve, the digestion doesn’t change. Gastric bypass is both a restrictive and a malabsorptive surgery, which means it both make you eat less and reduces the absorption of nutrients by bypassing a portion of the small intestine, while the gastric sleeve is a restrictive procedure only. Why choose Iran for gastric bypass surgery? Gastric bypass is a very popular bariatric procedure in Iran. There are well-skilled and professional bariatric surgeons in Iran who have remarkable experience in gastric bypass and other weight loss surgeries. Both Roux-en-Y gastric bypass and mini gastric bypass are performed in Iran at well-equipped hospitals in Tehran, Mashhad, Isfahan, Kish Island, Tabriz and Shiraz at very reasonable prices. It’s not just the quality of doctors and hospitals and affordable costs that do count, Iran is a wonderful country to visit; just ask someone who’s been there. Most of the people who have visited Iran report that their attitude toward the country was completely changed after their trip. Read 8 reasons why you should visit Iran at least once. Gastric bypass cost in Iran varies depending on the surgeon, the method of bypass surgery, clinic, and especially, the country. In Iran, gastric surgery is more affordable than in other countries. Regular gastric bypass cost in Iran is around $5,500 while a similar procedure is $24,000 in the U.S on average, $20,000 in Canada, $17,000 in Australia, $10,400 in India, and $10,500 in Thailand. An average mini gastric bypass cost in Iran is around $5,500, whereas the cost of the same surgery in the United States stands somewhere between $15,000 and $25,000. An average mini gastric sleeve in Canada is $22,000, $7,000 to $10,000 in Mexico, $26,000 in Australia, and between £10,000 and £15,000 the United Kingdom. Although a gastric bypass, like any other surgery, has some risks and possible complications, the fact is that the risks posed by obesity are far more life-threatening. Various studies have shown that gastric bypass significantly improves weight-related conditions such as type 2 diabetes, high blood pressure, cardiovascular diseases, depression, and infertility. Besides, gastric bypass doesn’t pose any risk in the short term, if performed by a qualified surgeon. The long-term complications are also rear, with the only common problem being the vitamin and other nutrients deficiency, which requires you to take supplements for the rest of your life. How much weight will I lose after gastric bypass? On average, patients lose 60%-80% of their excess weight. 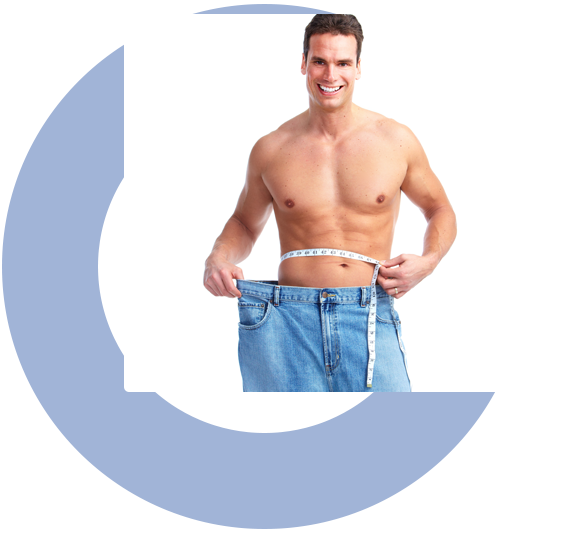 Studies have shown that 15%-35% of patients fail to lose adequate weight loss or regain weight after a while. What is revision gastric bypass? Gastric bypass revision surgery is a second surgery to treat any complication that might occur after the first procedure or to replace a proximal Roux-en-Y with a distal (bypassing a longer portion of the small intestine) in order to prompt more weight loss. No, gastric bypass is not a reversible procedure. How can I get a gastric bypass in Iran with AriaMedTour? You can send your request via WhatsApp, Telegram, email, or the online form on this page. Our coordinators will get back to you to provide you with anything you need to know about getting a gastric bypass surgery in Iran, including a price quote, surgeons, hospitals, hotels, how to get a visa, etc.